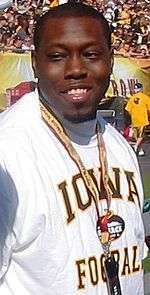 Banks at the 2009 Outback Bowl. Banks went unselected in the 2003 NFL Draft. However, he did sign with the Washington Redskins but was released shortly afterwards. He then signed with the Ottawa Renegades of the Canadian Football League in 2004. In 2005 was selected by the Winnipeg Blue Bombers in Ottawa's Player dispersal draft. Then on May 16, 2007, he, along with fellow Quarterback Matt Bohnet re-signed with the Blue Bombers. In June 2007, Banks was traded to the Montréal Alouettes in exchange for Quarterback Kliff Kingsbury. In 2011, Brad was signed by the Iowa Barnstormers of Arena Football League. On April 1, 2011, Banks set a Barnstormers single game record in touchdowns with an 11 TD (10 passing, 1 rushing) performance against the San Jose SaberCats at the HP Pavilion. Iowa won 76-69. Banks is a cousin of former Tennessee, College of the Sequoias, Ole Miss and current Central Valley Coyotes Quarterback Brent Schaeffer. As well, Banks is a cousin of Detroit Lions Wide receiver Anquan Boldin. 1 2 "-Eagles 2008 Football (page 27)" (PDF). Retrieved March 2, 2009. ↑ "-Eagles 2008 Football" (PDF). Retrieved March 2, 2009. ↑ "Brent Schaeffer Deerfield Beach HS Roster". Scout.com. Fox Sports. Retrieved March 2, 2009. ↑ "Blue Bombers Strengthen QB Corps". CFL.ca. May 16, 2007. Retrieved March 2, 2009. Wikimedia Commons has media related to Brad Banks.